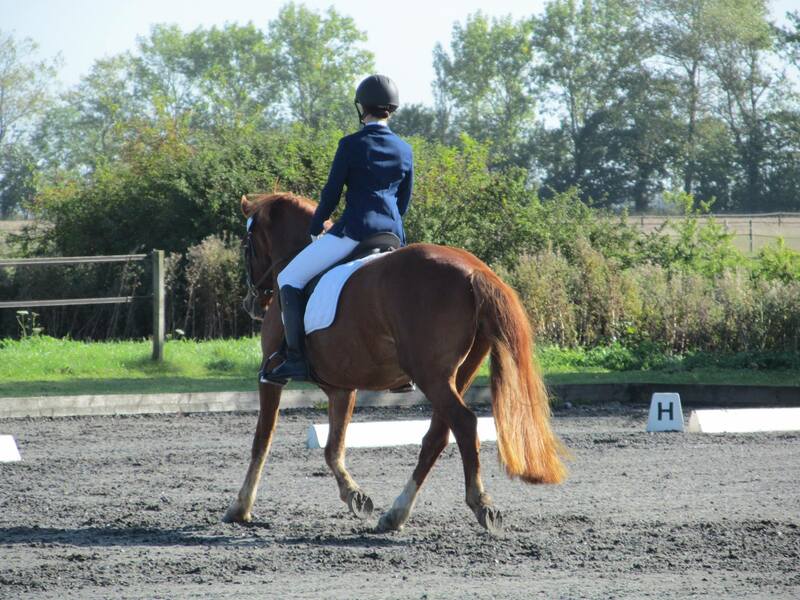 Knee mishap and online dressage success! Had a mixed day on Tuesday, popped into the gym to sort out my membership with Andrew. After my lesson with Rui I’m determined to get fitter, been meaning to for ages but never got around to it. All keyed up to go to the gym after doing horses. Felt I’d earned a pub lunch after this trauma, then got my results back from this month’s Dressage Anywhere Prelim 17 (video below) 64.23%! Really pleased with this, was thinking about the 62% mark as we had much better inside bend than we’ve had at live competitions. Lots of 6.5’s for most of the work and 6’s for the canter. Looking forward to September’s comp which is Prelim 19. 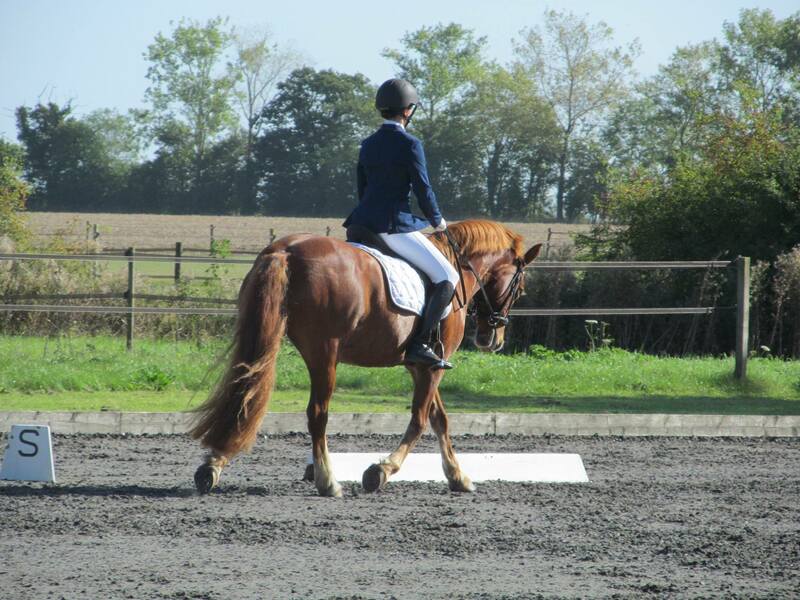 This entry was posted in Competitions and tagged bending, competition, dressage anywhere, horse, online dressage, schooling on September 3, 2015 by Emma. 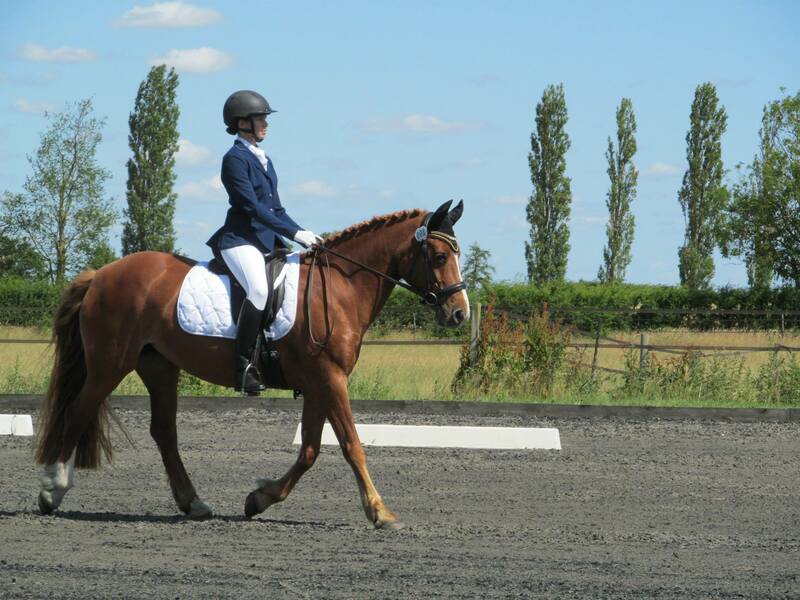 Note to self: Use brain during dressage test situation! First go at Prelim 15 on Saturday, can’t say I was too keen as between that and the other prelim on offer (can’t remember which one) P15 was the best of the two. Compared to P17 (last time) this seemed horrid! 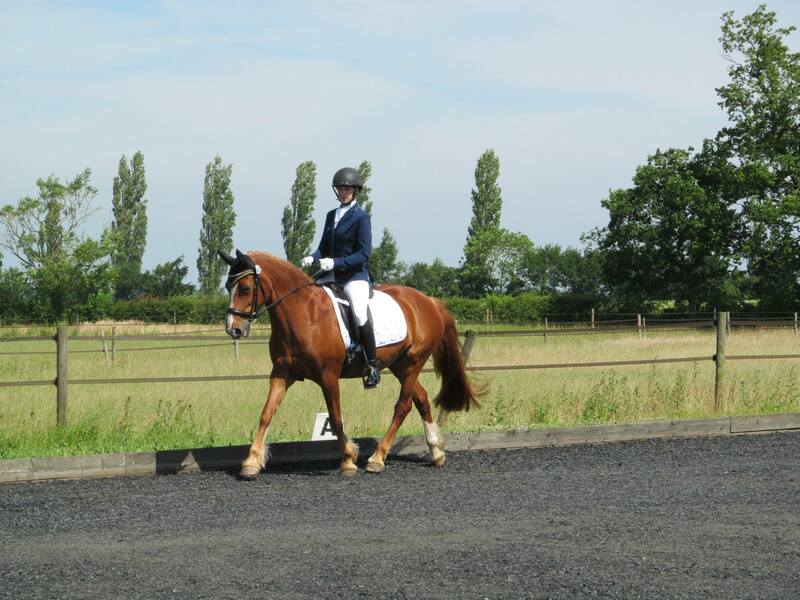 I’m still at the stage where I need time to think in between movements, and P17 allows this with changes of rein etc. P15 seemed to be one thing immediately after another with no thinking time. Anyway, we started in the indoor warm-up, but realised that Saf seemed to be getting more stressed and distracted with other horses working in there. The short outdoor arena (where I’ve done most of my tests) is now also a warm-up so we headed over there. Empty, and Saf worked much better. Went over to the long arena for the test and as I suspected I had no time to think during the test, so I went into standby mode and just steered her round. No incorrect bend, but a bit of a battle and didn’t feel like Saf was on-side. 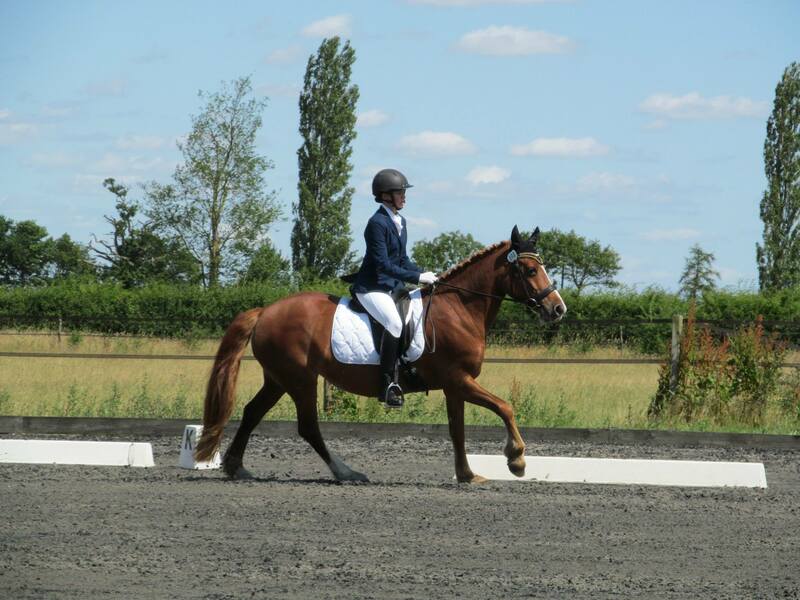 I did have a LOL moment when I got my sheet, judge’s comment: “Seemed rather ‘on a mission’ in canter today”. Haha! Made me smile anyway! 58.2ish, a different (more generous) judge than usual, felt like it was faaar worse than last time and not a mere 1.5% difference. Chalk it down to experience and try to keep at it in the hope I might somehow work out how to think whilst I’m actually doing the test rather than just steering. 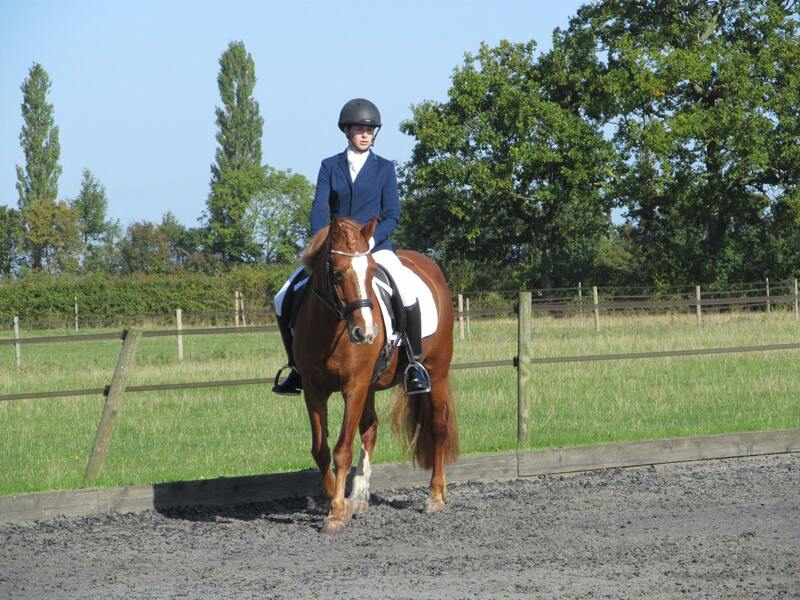 This entry was posted in Competitions and tagged british dressage, competition, dressage, equestrian, photos, pony, prelim 15 on July 21, 2015 by Emma. Anyway, I wasn’t feeling too hopeful as we headed to the long arena. Despite the climbing temperatures Saf was wired and as we walked round the outside waiting for the bell she started neighing – something she hasn’t done in years. I was cross with her and told her so, and that seemed to do the trick. She knuckled down to work immediately. After the first canter I felt her slow down as we usually canter at home then have a walk, I had to quickly say ‘we’re not done yet’ and she popped into canter nicely on the other rein. We had a similar conversation about the walk, when she wanted to stretch straight away (right in front of the judge) and I had to insist we waited until the marker. Oh, and a gorgeous square halt at the end. You may have gathered that I’m was over the moon with the whole thing. We didn’t have any incorrect bend issues (just need to continue working on more bend but absolutely no looking out) I assume she just didn’t like the high fences around the short arena and loved the extra space in this one. Canter was good (for her) and no breaks in it. I just felt like I had miles of room. Anyone considering making the jump to long arena prelims – do it! I won’t go back now 😀 We scored a rather conservative 59.8% – would have liked 60+ but my enjoyment and pride in Saf today outweighs any disappointment in the score. 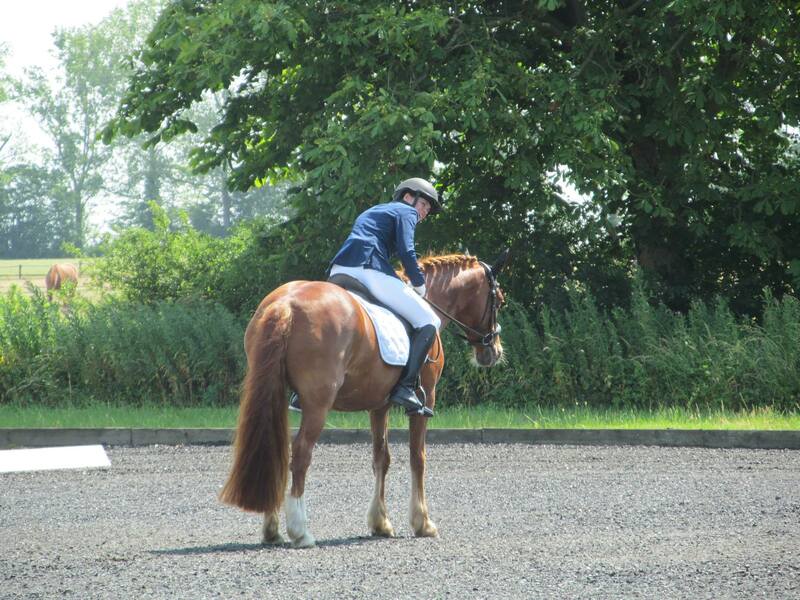 This entry was posted in Competitions and tagged british dressage, circles, classical, competition, dressage, equestrian, prelim 17, riding, welsh cob on July 8, 2015 by Emma. 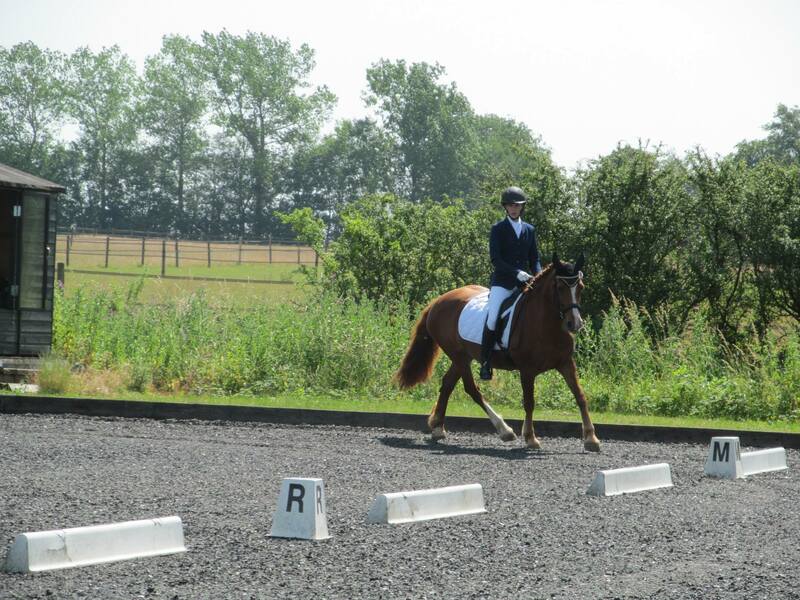 I realised the other day, that I’ve only done 10 dressage tests in my life! This came as a bit of a surprise as despite feeling rather out of my depth at times, I felt like I’d been doing this forever. 10 tests is absolutely nothing. No wonder things don’t always go to plan, and if I come up against problems in the ring I don’t know how to fix them. We’re doing a lot of schooling work at home (and should probably chill and hack more) but many of the problems in the test never happen at home, so I don’t get to practice how to fix them. We only did 3 unaffs before Saf’s loading issues left both Claire and I nervous wrecks and decided that at Saf’s age it just wasn’t worth it. We then started hacking to Bluegate, which only runs affiliated shows. This is enough to put the fear of God into anyone as inexperienced as I, but it’s such a lovely venue and everyone is so friendly I never feel out of place. Saf is easy going, and I’m so lucky to have this lovely mare who doesn’t mind that her rider is nervous when she goes into a test. She doesn’t stress but she doesn’t understand why I’m suddenly riding differently when I’m trying to remember what I need to do next. I’m not concentrating on my inside leg, so that goes walkies, then she bends the other way because of it. I’ve learnt P17 for tomorrow, it’s a nice symmetrical test which I looked at a couple of times and memorised straight away. There’s little point (to me) in having it called as I don’t learn the letters, just the patterns. I’ve ridden it a few times at home – in our newly extended grass arena, dodging knee high grass and thistles, and pony-lawnmowers grazing just where we needed to go. Tomorrow I’m going to try to be more conscious of what I’m actually doing, rather than merely steering her round. Every corner I’m going to use as an opportunity to balance her and get our bend correct. The trot work shouldn’t be a concern as she’s going so well at home, canter, well we’ll see how it goes! Wish us luck! 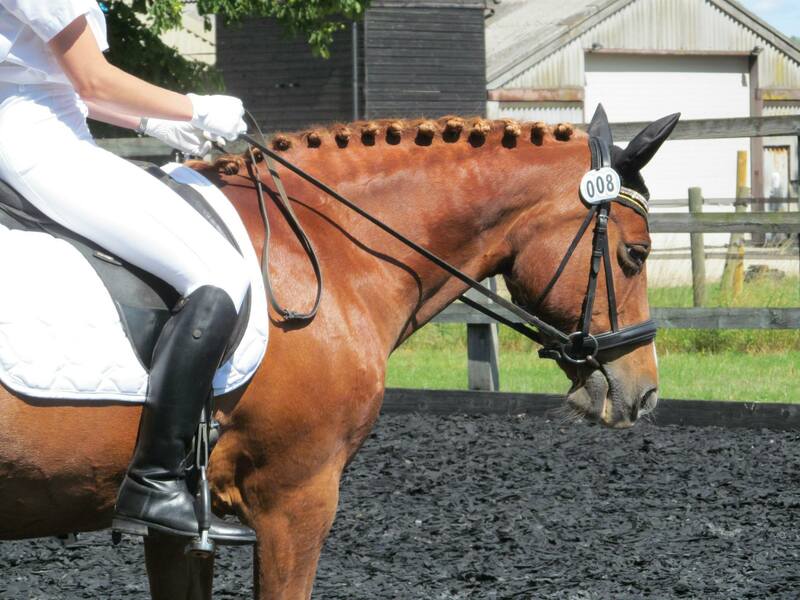 This entry was posted in Competitions and tagged british dressage, competing, competition nerves, dressage, nervous on July 3, 2015 by Emma.